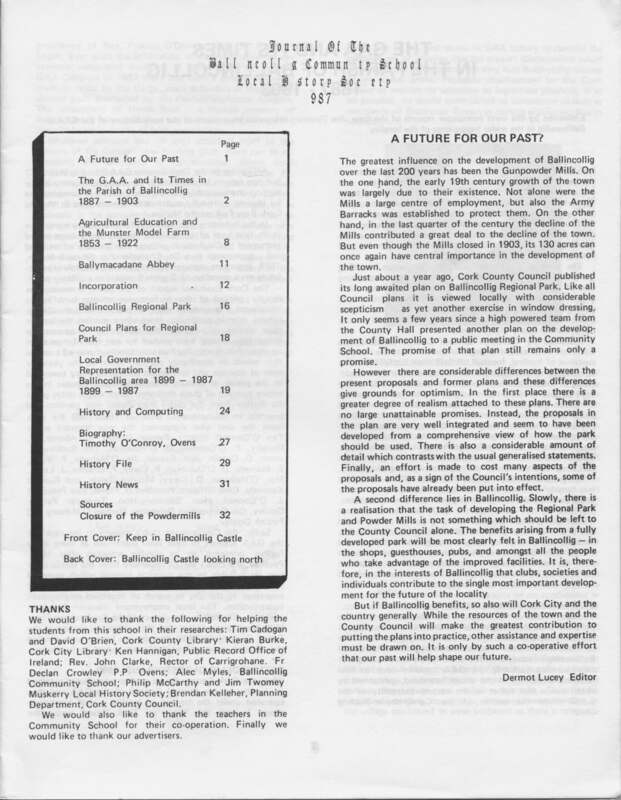 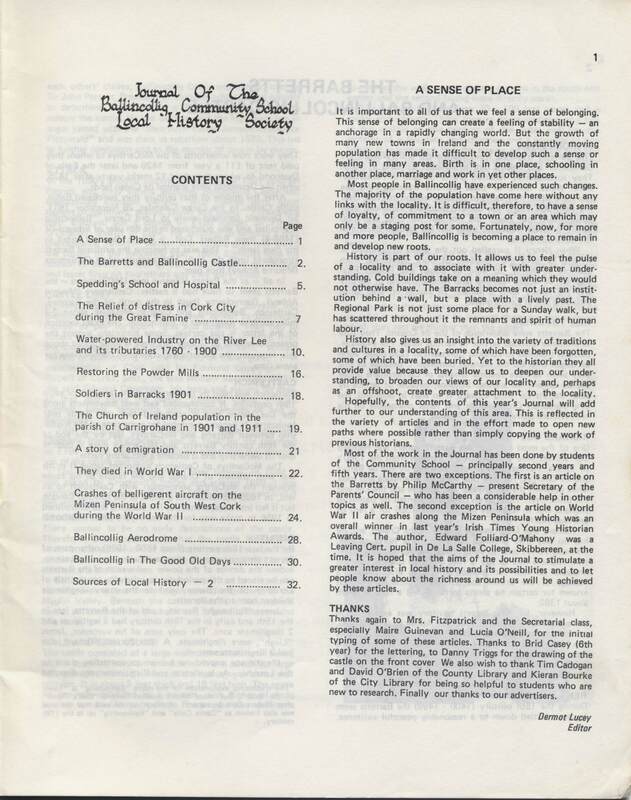 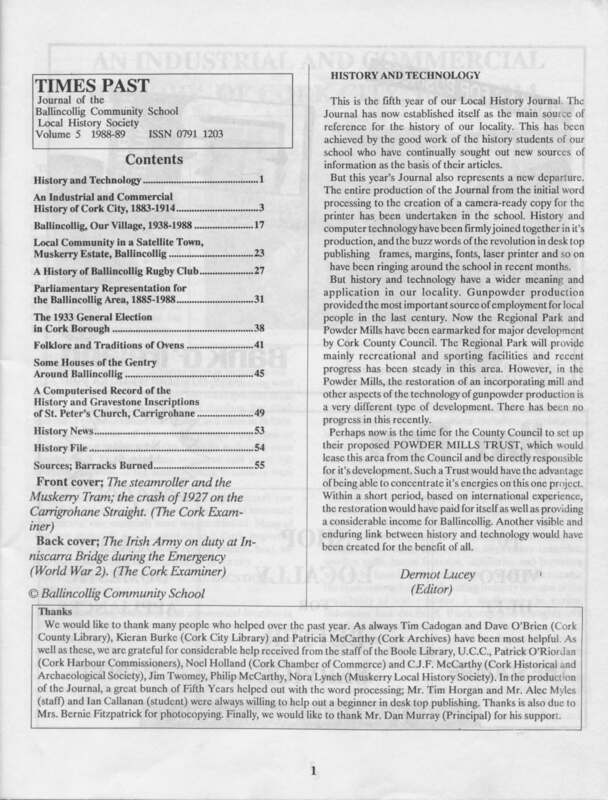 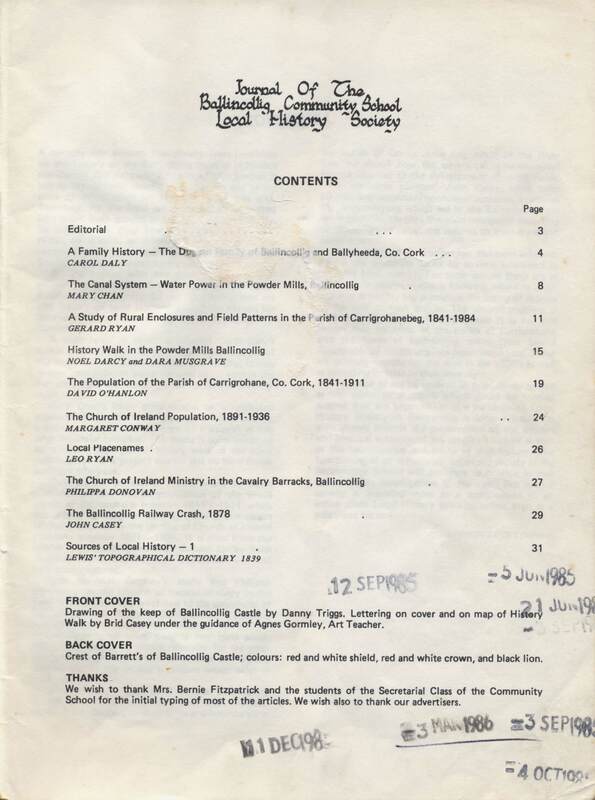 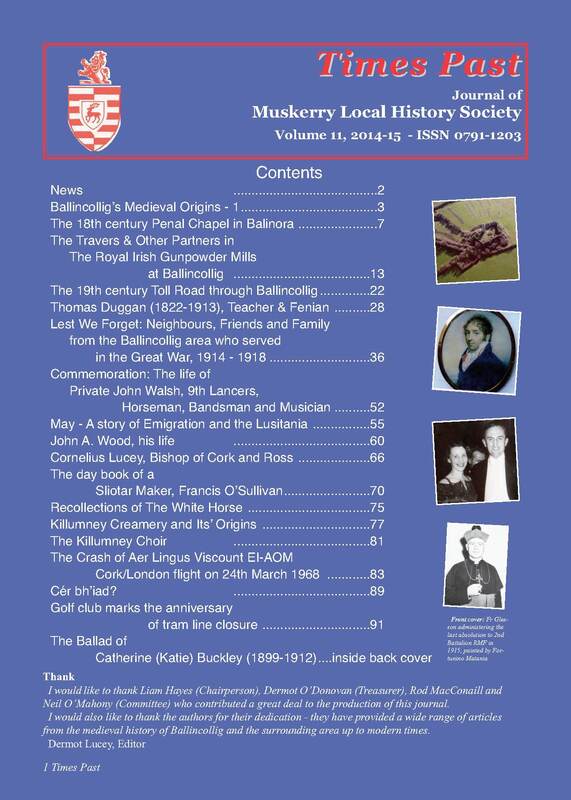 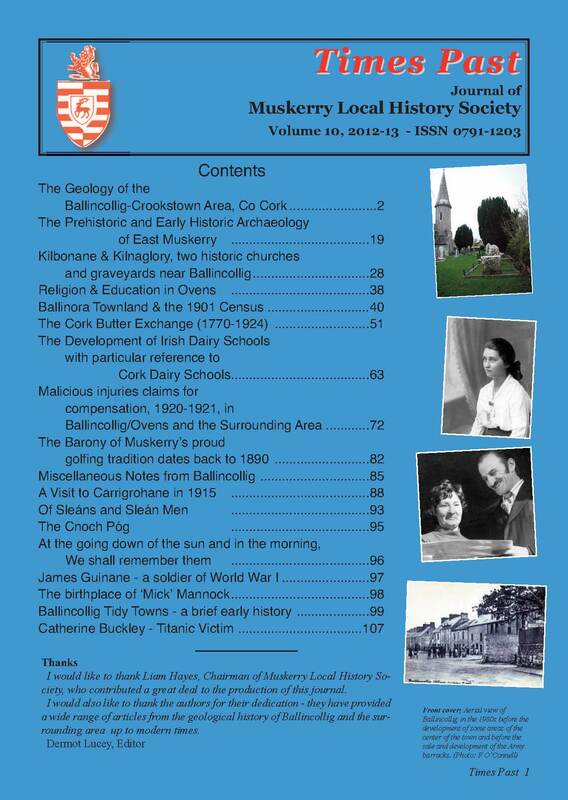 The Journal of the Ballincollig Community School Local History Society was first published in 1984. 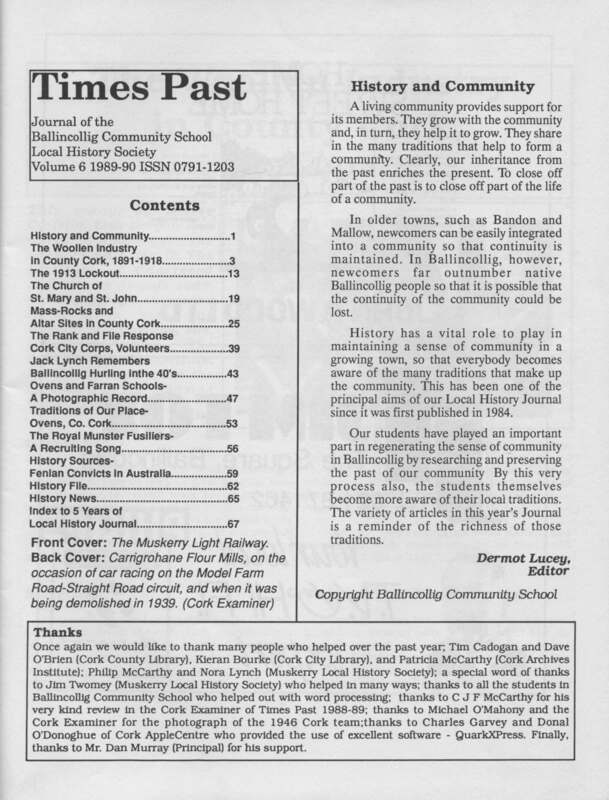 In 1987, it changed its name to Times Past, Journal of the Ballincollig Community School Local History Society. 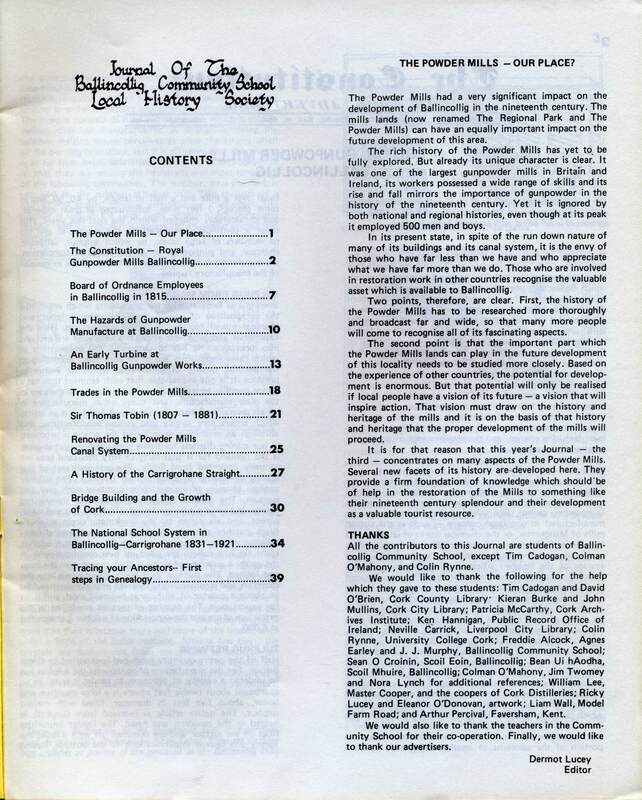 It was published until 1991-92. 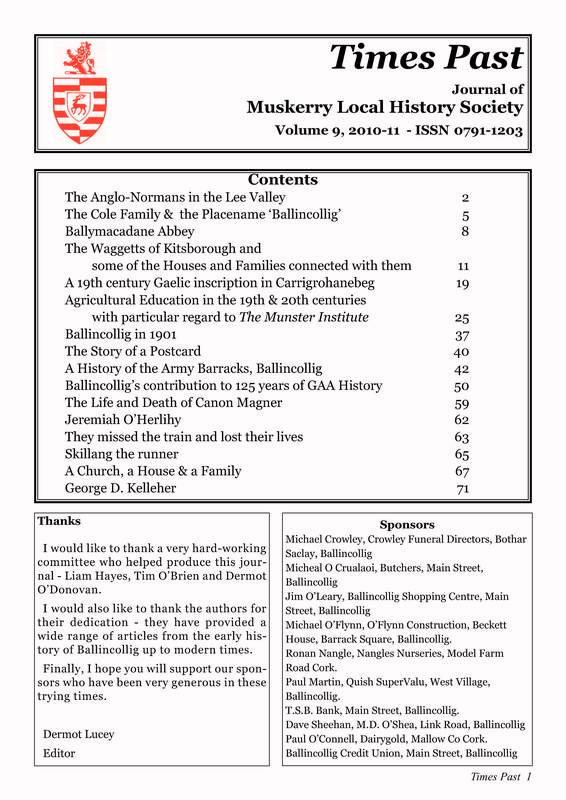 Since 2010-11, it has been published by Muskerry Local History Society.